Atmospheric Jewelry Steam Cleaning is the latest in steam cleaning technology! Using aluminum thermal core heaters and no storage tank, atmospheric steam is the next generation in steam cleaners. 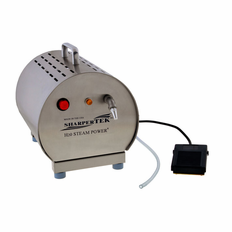 The Sharpertek H2O Jewelry Steamer draws water from an outside source, such as a bottle of distilled water, to create steam that dissipates into the atmosphere almost instantly upon creation. The internal aluminum heating block super-heats the water, providing quick and powerful steam bursts. 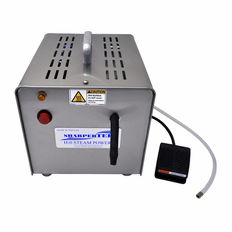 The internal heating block and external water source are the perfect combination to avoid the age old problem of excess pressure buildup, making the H2O jewelry steam cleaner a safer alternative from conventional steamers.